Well, 2018 draws to a close and the Festive Season is upon us! I hope that our growing membership has enjoyed 2018 as much as I have and I think our Club is in fine fettle. 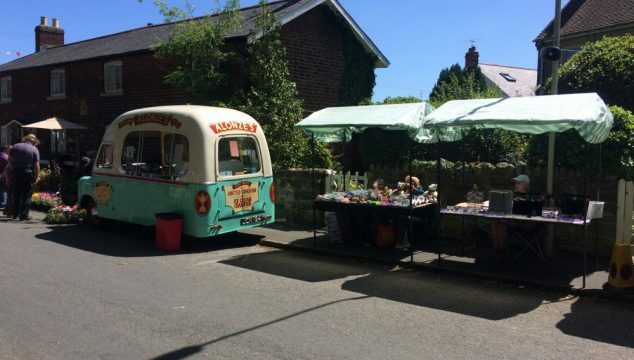 The Fair’s support of the Tour de Yorkshire in June showed us at our best – turning out to festoon Scalby Village with bunting as well as putting up a stunning bike display outside the Nags Head. I think locals really appreciated the leading role that Scalby Fair members played in making the event so memorable. Scalby Fair Week was wonderful, in my view – the weather helped of course, but there was a terrific turnout of members to help with events and the feeling of ‘bonhomie‘ was palpable. The Fair BBQ kindly hosted by Richard and Mary in late August was good fun though slightly sparse on turnout. The AGM at the Rugby Club went down well with a big turnout. For those hardy members who turned out to put up the Christmas tree I think our investment of a quarter of a ton of concrete and steel to build a proper base last year was a good deal. Putting the lights on the tree was best done in the dark as it turned out. We made yet another big donation to the Scalby Toilet Trust this year which was hugely appreciated. Personally I hope that is as good as 2018 or even better and I’ll finish this by saying that our wonderful club simply couldn’t operate without lots of us giving our time and effort freely to make Scalby Fair the success that it it is today.